If you’re considering giving CBD vape juice a shot, you’re probably wondering if it is as safe as everyone says. Many Companies claims that its CBD-based vape juice is “completely safe” for example. But, let’s look at the science. After all, while we all know CBD oil is safe, inhaling something is a lot different from ingesting it. For example, while you might inhale nicotine, you would not want to eat it. The bodily processes are just different. But, what does this mean for CBD vape juice? Is it as safe as ingesting CBD oil? Or is it one of those things that you need to avoid? CBD Vape Oil – What is in it? Before we can accurately judge how safe CBD vape oil is, we need to review just what is in these juices. Pulling again from Hot Juice’s website, we find that CBD vape oil contains CBD, propylene glycol, vegetable glycerin, and flavoring. CBD is an extract from the hemp plant. It has numerous health benefits. And, it is used to treat everything from pain to cancer to seizure disorders. Many people who use CBD today ingest it. But vaping CBD is becoming more common. Many people who already vape but don’t necessarily use CBD are also looking at this type of vape juice to treat some of their minor health problems. And even prevent those health problems from occurring in the first place. 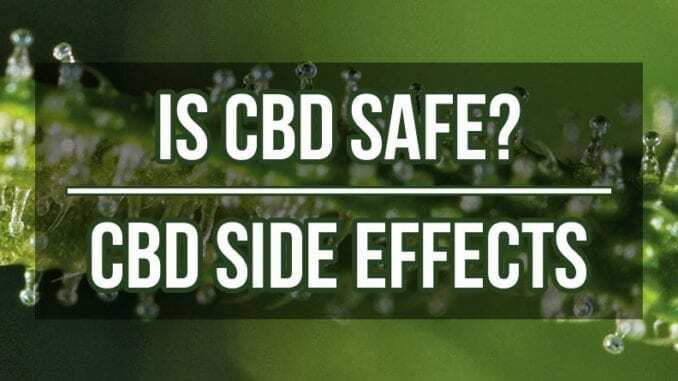 CBD is widely considered to be safe by the medical community. And it is currently being used to treat a wide range of medical conditions. As you can see CBD by itself is considered safe, but what about the other ingredients in this vape juice? These ingredients can be found in different ratios depending on the brand. But they are generally considered safe. What exactly “flavoring” consists of obviously depend on what flavor vape juice it is. But it is safe to assume that most if not all flavoring additives are considered safe. However, we still encourage you to look carefully at the ingredients of any vape juice you try. Generally, the more components a vape juice has in it, the more likely it is to be toxic. And, always ask questions, if you aren’t sure about one ingredient, email the company and ask. They should have information about its safety. CBD Oil Vape – Is it Addictive? As you can see, the main thing that sets CBD Oil Vapes apart from other is the inclusion of CBD. And CBD is also found in marijuana. Does this mean that CBD is addictive? No. The addictive component in marijuana is THC. While it does contain CBD, CBD itself is not addictive. Of course, when the CBD is extracted from the plant, it is possible for some THC to get mixed in as well. Usually, this isn’t in high enough concentrations to matter. But, to be safe, we recommend purchasing your CBD oil vape from a company that completely removes the THC from their vape juice. This eliminates the possibility of becoming addicted. While the best CBD vape juices are considered safe, there are a few possible side affects you should be aware of. CBD is reported to alleviate anxiety and stress for some people. But, in other cases, it is said to actually cause these problems. The only way to tell what end of the spectrum you’ll be on is to try it. CBD side affects can also cause changes in mood, dry mouth, nausea, and vomiting. To avoid these unsightly side effects, we recommend starting with the lowest dose possible. You should not automatically jump to the highest dosage possible, even if you’ve tried CBD oil before. We also recommend spreading your dosage out over the day. While it is possible to take the dose all at one time, spreading it out will allow your body to absorb it easier and more thoroughly. CBD can take as much as a few hours to kick in. You might not experience the effects the first time you take it at all. It can take a couple of times for it to build-up in your system. There is no need to increase your dosage if you do not immediately notice a change. It is easy to overdose on CBD oil, so it is vital that you give the dosage a couple of hours or even a couple of days to work properly. Because it is possible for these juices to contain THC if they are not filtered out, we recommend doing your research and locating the best CBD vape juice out there. These factors can low your chance of experiencing any side effects.